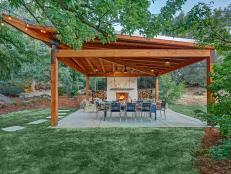 This backyard paradise is complete with pergola and metal fire feature. 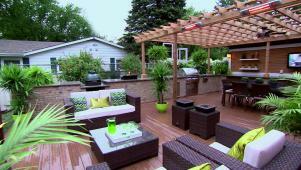 A Chicago couple's deck is transformed into a luxurious outdoor kitchen. 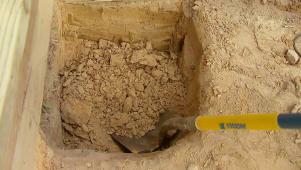 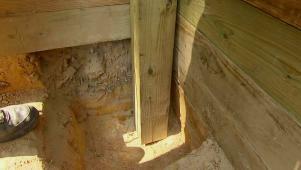 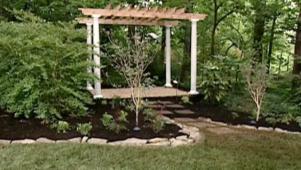 DIY Network shows you how to dig post holes to ensure a sturdy pergola. 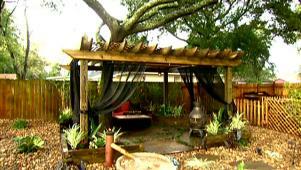 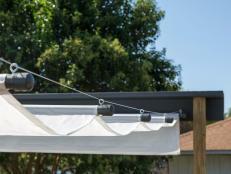 DIY Network shows how to level and set posts for a strong wooden pergola. 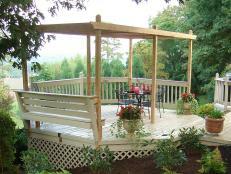 Learn how to install beams and rafters to complete a wooden pergola. 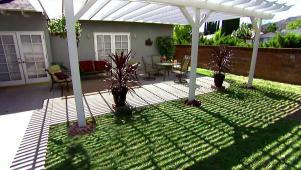 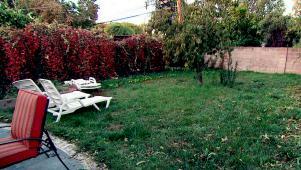 A metal pergola and a huge hot tub are centerpieces of this Yard Attack. 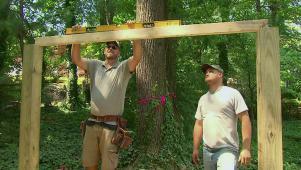 Homeowner Drew gets a crash course on the ins and outs of pergola building. 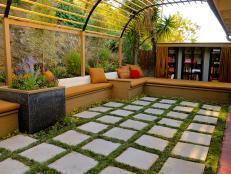 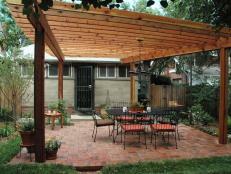 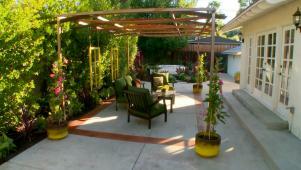 A plain slab becomes an outdoor room with a little tile and a new pergola.